Liverpool, Walker Art Gallery, no. 2868. Panel, round, with a small addition at the top, 62.5 x 59. PROVENANCE: Florence, Geri Bocchineri. Florence, T. Bandini, 1821. Rev. Sandford Collection, perhaps in 1832. Catalogue of the Rev. Sandford Collection, 1838, no. 43, as Sarto (from Freedberg, see below). Berenson, 1963, I, 201, as Sogliani(?). 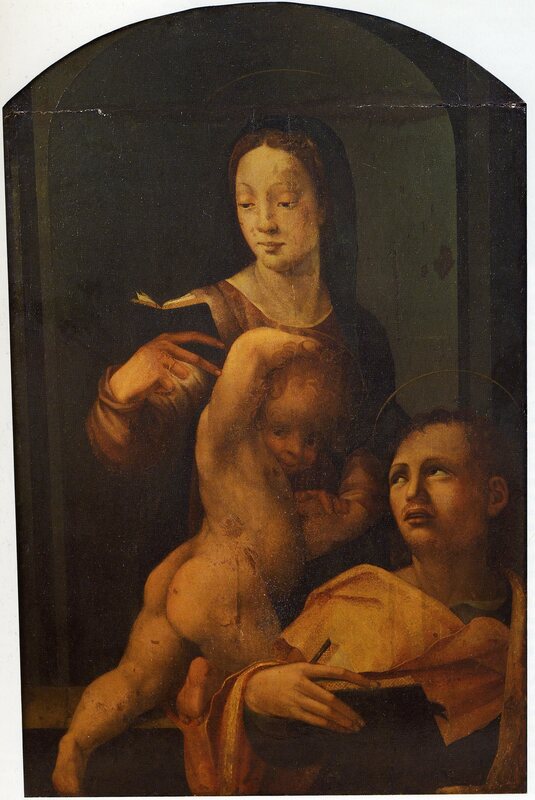 Foreign Schools Catalogue, Walker Art Gallery, Liverpool, 1963, 67, as Florentine School, c. 1505-1515 (Plate volume, 1966, 35 bottom), as influenced by Sarto, and near to the earliest work of Rosso and Pontormo. Foreign Catalogue, Walker Art Gallery, Liverpool, Liverpool, 1977, Text volume, 70-71, with bibliography, as Florentine School, c. 1515-1525, with the curls of the children’s hair approaching those of the mature Rosso and suggesting possibly a later date (Plate volume, p. 87 top). Carroll, 1987, 33, n. 16, as not by Rosso. Franklin, 1994, 8, 271, n. 26, 272, n. 61, none of the versions (see below) of this picture by or after Rosso, the Liverpool picture the weakest of them. There is a rectangular version of this picture in Grenoble (no. 516). LITERATURE: Berenson, 1963, I, 184, as Puligo(?). See above, Liverpool catalogues, 1963 and 1977, as inferior to the Liverpool picture. Berti, 1983, 60, n. 25, as unclear if the composition was originally round or rectangular, but he believes round. 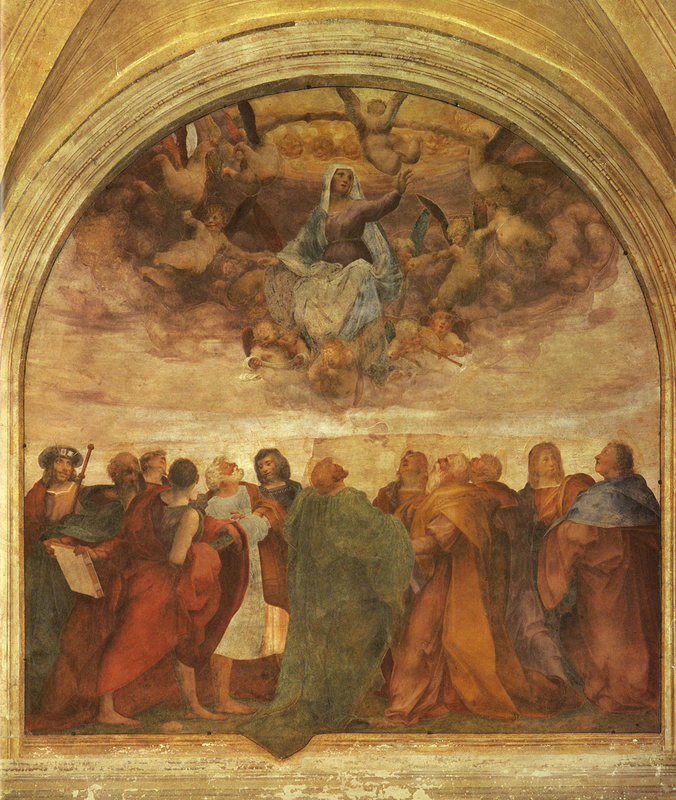 Franklin, 1994, 272, n. 61, noted another version in a church in Barbiano, near Anghiari, that he thought could be the source of the other version. Berti suggested that the picture is the one that Vasari said Rosso painted for “maestro Giacopo” early in his career, excusing as a lapsus calami Vasari’s statement that it showed Saint John the Evangelist rather than the Baptist who appears in the Liverpool painting. I believe that Vasari did not err and that this early picture by Rosso is represented by two copies, one of which shows the Evangelist (Fig.P.2Aa). The Liverpool painting appears to fall into that class of Florentine paintings of the late 1520s or 1530s that are confused with pictures of the early part of the century. This confusion is derived from the very intent of certain artists to extend or revive the art of that time. 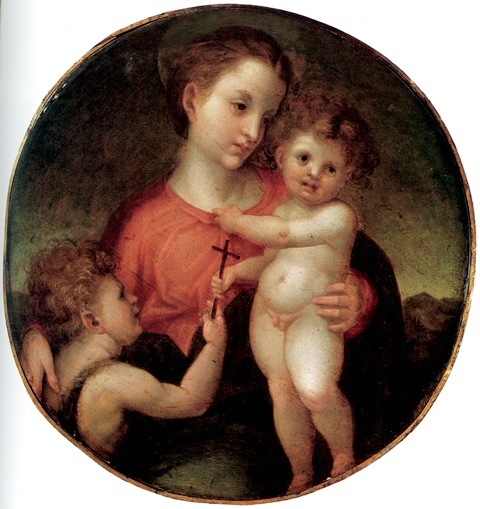 The suggestion by Berenson that the picture may be by Sogliani, and that the Grenoble version may be by Puligo, recognized this, as does Freedberg’s suggestion that rather than being a picture of around 1505, as was once thought by the gallery, it is more likely one of the 1530s. 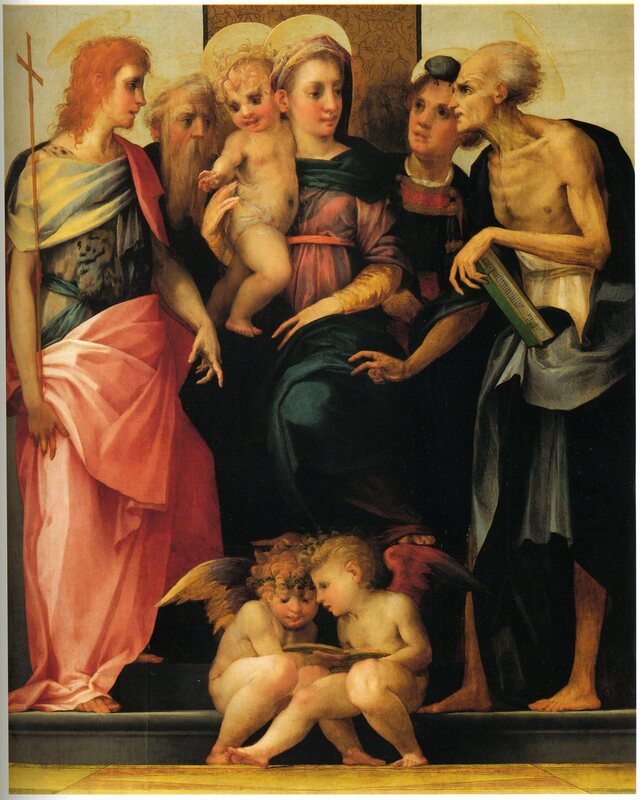 Berti brought up its derivation, “alquanto vaga,” from a painting by Albertinelli of 1509 (Earl of Harwood Collection; Berenson, 1963, I, 2, II, Fig. 1317). The relationship is indeed vague, but if one can be seen it again affirms the historical connection between early sixteenth century Florentine art and certain works of several decades later. Aside from this connection, I see nothing in the Liverpool painting that relates to any securely authentic work by Rosso, such as the Assumption of 1513-1514 (Fig.P.3a) or the Santa Maria Nuova Altarpiece of 1518 (Fig.P.5a). 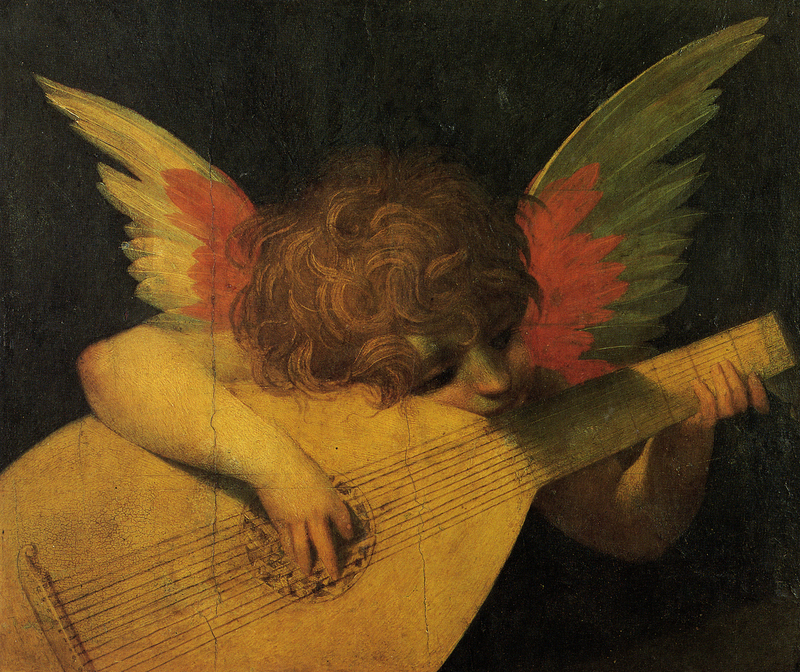 Nor do I see any relation to the Angel Playing a Lute (Fig.P.4a). Nor can I see that it is derived from any aspect of Rosso’s art. From the Color Plate in Berti, 1983, the Virgin wears a pink rose dress and the remainder of the picture is brownish and greenish, much of the latter created by yellowed varnish over blue. There is nothing about this color that would distinguish it as Rosso’s.